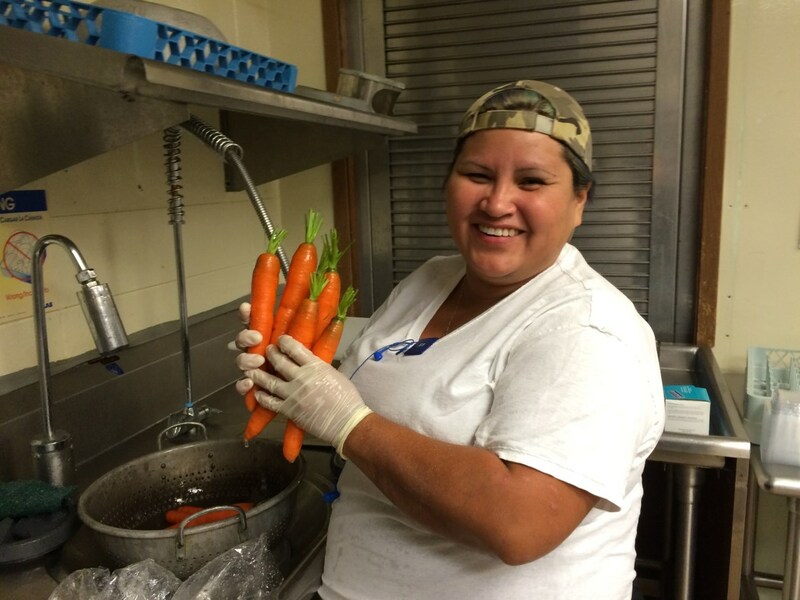 Garden Supervisor Gwen Chickalusion prepares Tyonek Grown carrots for school snack in Tyonek. 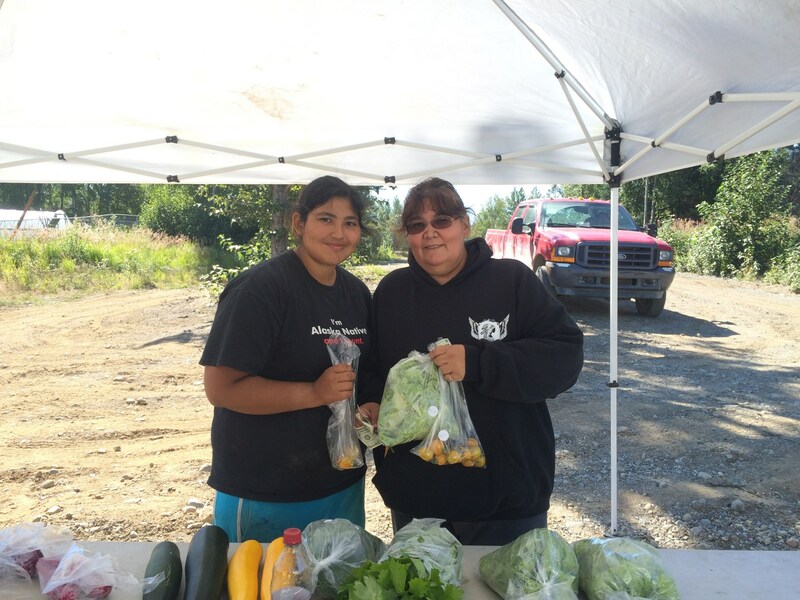 Vegetables harvested from the Tyonek Garden are sold during weekly markets and daily at the Tyonek Tribal Center. 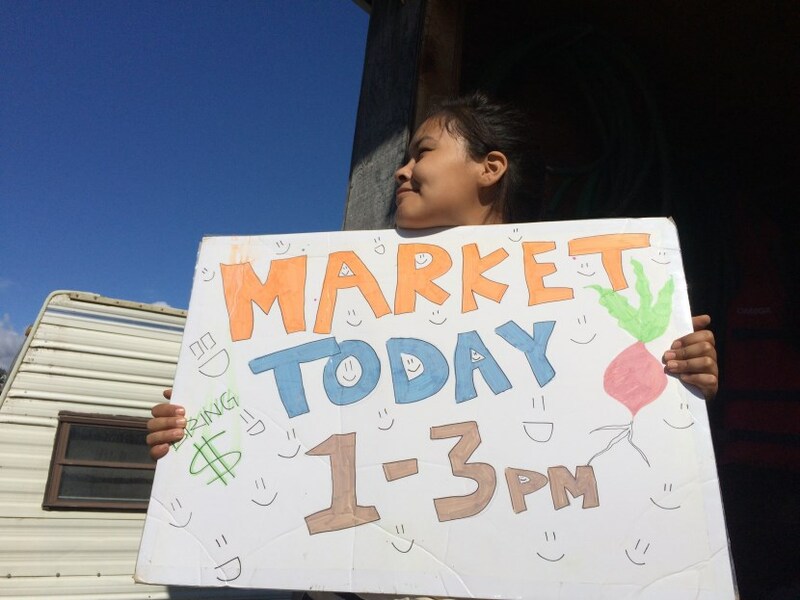 Surplus produce is then sold in Anchorage through markets at TTCD’s office and local restaurants. 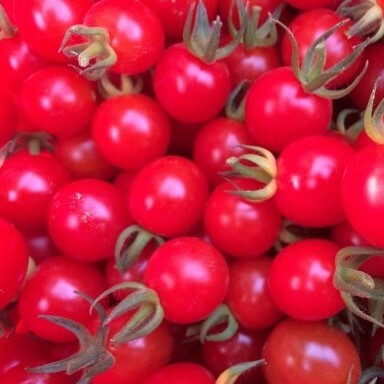 All sale proceeds directly support the Tyonek Grown Program. To accomplish Tyonek’s goal of providing healthy food for elders, TTCD donates food weekly to the Elder’s Lunch Program, a daily lunch delivery to Tyonek elders managed by the Native Village of Tyonek. Produce is also contributed to the Tebughna School and served as part of the school snack program.